Powder Coating Service | Philadelphia | EM Enterprises, Inc.
EM Enterprises, Inc. is pleased to provide the most trusted sandblasting and powder coating services in the local Philadelphia and the surrounding areas. We’ve been serving our many commercial and residential clients for years, maintaining an ongoing dedication to using the most modern and effective methods available to ensure the highest level of quality for our customers. Whether your project is large or small, we have the expertise, equipment and attention to detail necessary to provide you with a flawless experience from start to finish. Read on to learn more about our services, then reach out to us directly so that we can learn about your project and unique needs. Powder coating is a special type of coating that uses dry powder applied via an electrostatic charge, which is then cured by heat, allowing it to bond to the surface and form a complete coat. 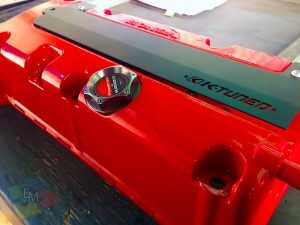 Powder coated surfaces are often tougher and more resilient than traditional paint, and the process is used for a wide range of applications including automobiles, construction vehicles, appliances, fencing, and countless other parts and items. When used in combination with sandblasting to create an even surface, powder coating can be an essential method for ensuring the long-lasting quality of critical industrial, commercial or residential items. Our highly advanced facility features two massive ovens with the dimensions of each stretching 24 feet long, 8 feet wide and 10 feet high. Each of our ovens is capable of powder coating just about any item you can imagine, in any quantity, with the same level of effectiveness and completeness. Whether large or small, a single item or 1,000, our manually operated and highly quality-controlled system will assure you of the absolute highest quality finish available anywhere. We cater to commercial, industrial, and residential clients alike. Call or email us today to find out how our unparalleled powder coating services can work for your project. For over 12 years EM Enterprises has been one of Philadelphia's most experienced sandblasting & powder coating businesses. We are proud to be 100% women owned an operated. © 2016-2017, EM Enterprises, all rights reserved. | Your Local Philadelphia Sandblasting and Powder Coating Experts.